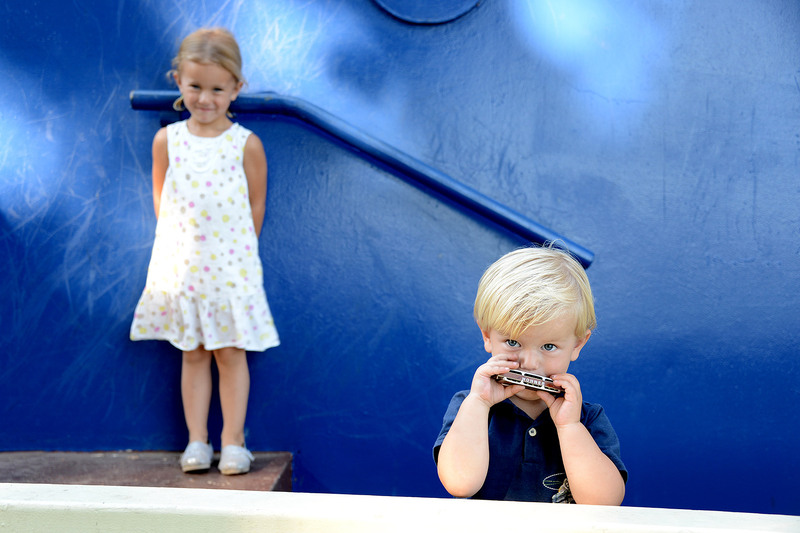 Brother and sister and a harmonica. Waterfront park. Bainbridge Island, WA.